FREDDIE ROACH: We are having a great training camp. Miguel is working really hard and we have great sparring partners – some really awkward southpaws. Everything is right on schedule. Miguel is in great shape and I can’t wait for this fight to happen. MIGUEL COTTO: Everything is going very well and I am having fun with the guys at Wild Card Boxing Club in every part of the training camp. I’m just waiting for the time for the fight to happen. Was there a time in your career that you ever thought you’d be fighting for a world title at middleweight? MIGUEL COTTO: Never did it cross my mind that I would be able to go up to 160 pounds. After the fight in October, that was the best scenario. Sergio agreed with us and we moved on to this fight. You could be the first Puerto Rican to win world titles in four divisions. How do you feel about that? MIGUEL COTTO: It is a personal matter. A personal achievement that I want to win and I am working for it on June 7. It doesn’t mean that I am going to be better than Wilfredo Gomez, better than Félix Trinidad, better than all of the great champions that Puerto Rico has produced, but for me, Miguel, it will be the greatest accomplishment of my career. Whether you win the fight or not, most people would think you would be in the conversation with those great champions. Do you feel a victory would put you in the elite group of the Puerto Rican greats? MIGUEL COTTO: I am just waking up every day trying to do my best in preparation so I am at my best for every opportunity that I have to fight. I don’t want to be named, myself, as one of the elite boxers of Puerto Rico – that’s for the fans and for the people that know about boxing. I just want to do my job the best I can and I am going to do that the rest of my career. Miguel seems as though he is a smaller person in terms of his build.. Are you concerned that he may be over-reaching in terms of size for this fight? 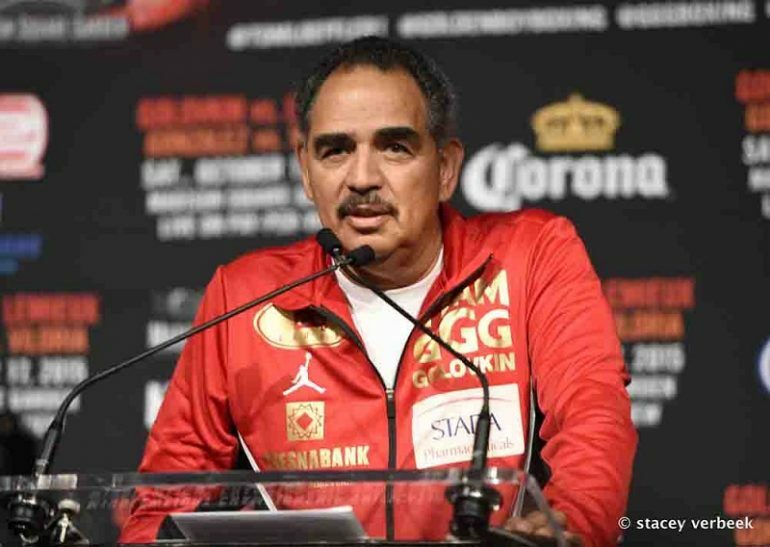 FREDDIE ROACH: Well, we moved up the weight a little bit and put on more muscle – I think he may actually be taller and he will be stronger on the inside and much more physical on the inside than Martínez is, and we are going to push him around with no problem. I think on the inside we are the bigger stronger fighter. Do you think Sergio will be as elusive as he has been in the past due to recent injuries? FREDDIE ROACH: We are going into the fight thinking Sergio is going to be the best that he can be and that’s the way it should be. It sounds like he’s already making excuses but we plan for him to be at his best and we are going to beat him at his best. You looked so great and 147 and 154 – how do you feel about 160? MIGUEL COTTO: I feel that I can do the pounds that I need to do. Freddie and Gavin [MacMillan] have given me the opportunity work well with the weight – I don’t see that as an issue at all – I have put that out of my mind. I just work hard and get my work done. Is it difficult to carry that much weight – will it be a disadvantage? MIGUEL COTTO: I feel at 160, I don’t need to lose the weight. It’s not about gaining the weight, it is about no having to lose the weight, coming down and trying to cut weight. It is important to stay fit and do the things that I need to do and I think that my body recuperates better during training camp because I don’t have to lose the weight. You have fought in New York many times [nine times] winning a lot of fights there. 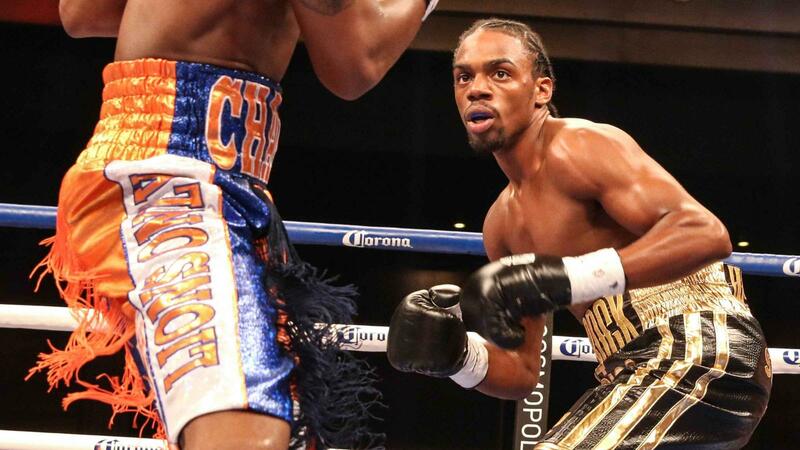 The last fight you did not win – is that motivation for you to come back and win at The Garden? MIGUEL COTTO: You know, you go in there and you are going to win or you are going to lose. The last time I did not come out the winner but I always go in and do my best. I am glad I have the opportunity to go in and show the fans again what I can do. Against Austin Trout you had a difficult time getting inside. How do you plan to amend that for this fight? MIGUEL COTTO: These are two different scenarios. 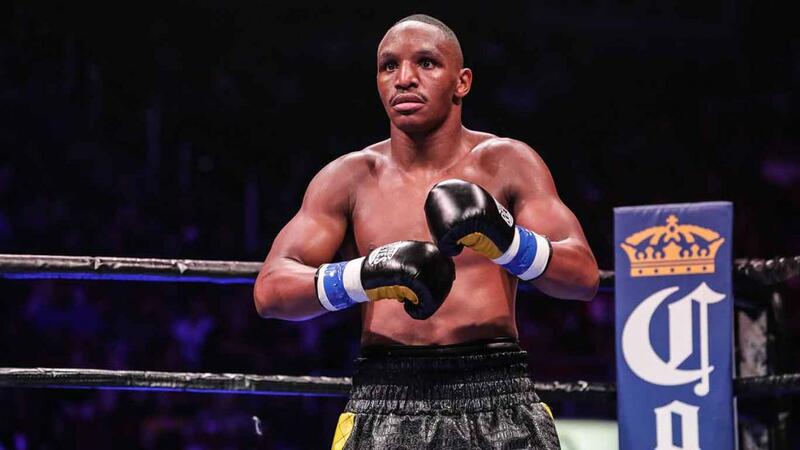 You have Austin Trout, who is a gym fighter who has a lot of mobility; and you have Sergio Martínez, who is not a gym guy who moves around a lot but he has a couple issues with his knees. We are going to do our best. I know how I am going to fight Sergio and I can guarantee you we are going to win this fight. Freddie, what do you think is different today than when he fought Austin Trout? FREDDIE ROACH: I think he knows how to control the ring a lot better now – we really work on that, ring generalship, quite a bit. I wasn’t part of the Trout fight but I did see the fight. I know Miguel can do a lot better and he has been showing that in training with the bigger, stronger sparring partners and we are more scientific about our approach to this fight and how to control the ring a lot better. I think he’s come a long way this being our second fight together. We have had a great training camp and have a great rapport with each other. I think the problem has been solved in how to cut the ring off from our opponent. Are you worried your power may not translate to middleweight? MIGUEL COTTO: When you are a guy with power no matter where you are going you are going to carry that power with you. I'm here doing my best in the training camp and I know what I am capable of doing when I get in the ring on June 7. Do you care to speak about Martinez’ reference regarding you demands in negotiations? MIGUEL COTTO: If Sergio has any kind of issue with anything about this fight he can discuss it with his guy. We closed the deal a long time ago and now it is time to train and we can’t talk about anything else. When you got to camp, you needed to put on muscle and the strategy would be to go to the body – has that bee accomplished? MIGUEL COTTO: I feel great. I am 33-years-old and you are not going to get a lot more muscle into me. I think it is about keeping what I have – not reducing it -- and keeping myself strong. Freddie has given us a plan, a strategy to follow and that’s what I have been working on in camp. I follow all the orders. Everything he needs from me I follow. All of my faith is with him. I do my best every time I go into training camp and this is no different. Do you think Sergio will be as mobile as history shows us? FREDDIE ROACH: If he is not mobile then we will catch him a lot earlier than later and it is just a matter of time. But the thing is I am tired of his excuses. We plan for Sergio to be at his best and we will beat him at his best. I don’t want to hear after the fight “my knee hurts.” He’s going into the fight – he signed for the fight – he knows what he’s up against. What do you think the difference is between him and Trout? FREDDIE ROACH: Well, he might be bigger but he is not better. I think I have the more experienced fighter and the more talented fighter. So that’s what I am counting on and we are ready to go. We are sparring today and everything is right on track. You used to be southpaw. When/how did you switch? MIGUEL COTTO: When I first went to the gym I tried fighting left-handed and it didn’t feel right so I started fighting right-handed and it felt a lot better so that is how I have fought my whole career. When I developed as a fighter I always fought right-handed. How are the two styles between you and Sergio? MIGUEL COTTO: I don’t worry about his style, I worry about getting ready for myself and for the way I fight. His concern should be how he is going to fight me. That is not my concern. Is there an advantage to a left-hander fighting a right-hander? MIGUEL COTTO: I don’t know. I always fought right-handed. That’s the way I always fought and that’s the way a always felt better. I don’t think it’s an advantage or a disadvantage – it’s just the way I fight. You have won many championships and beat a lot of great fighters. What will a win in this fight do for you? MIGUEL COTTO: I just go in there and do my best. It will be important for me to win the championship on June 7 and it will be a great thing for my career. The Martínez camp said the idea of a catch-weight came from you or from the Cotto Camp. Would you like to respond? MIGUEL COTTO: That came from Sampson [Lewkowicz]. The first thing we said when we sat at the table was that Sergio can’t run like he did, any more, and he wants to make his weight. He is not going to be able to do less than 159-pounds. That came from them, not from us. TODD duBOEF: I will make it clean and simple. There were conversations between the camps before the negotiations even started between the two sides and one of the things was the weight. Team Martínez said they could move down as close to what Miguel’s 154-pound limit was, to the weight where he has been fighting. The division changed as the negotiation went on, because that was six or eight months ago. 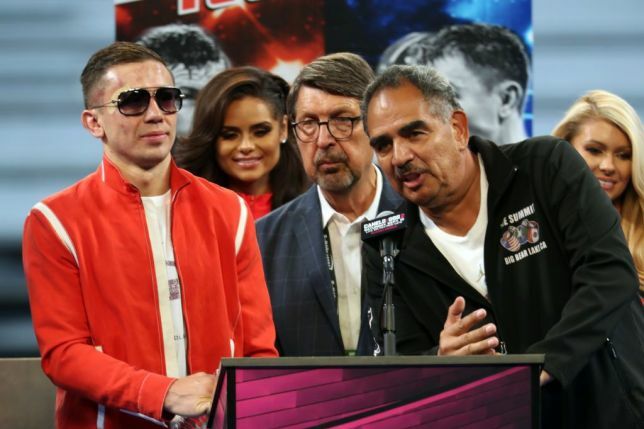 It was just a negotiated piece, which was thrown out that there, that they thought Martínez could get down in weight, and they both settled on 159. It was just one term or piece of the negotiations. TODD duBOEF: It was mutual. There was a request and a conversation that both parties had that the fight could occur somewhere between ’54 and ’60 it was going to be in between. They had planted the seed and the settlement got done on the number. Miguel, do you feel bad for Freddie because he is peeing blood from the body shots he is taking from you in the ring? MIGUEL COTTO: I am just doing my work and I didn’t think about it. Sorry Freddie for that (laughing). Sergio has been saying he is going to knock you out – how do you feel about that? MIGUEL COTTO: I train for twelve hard rounds; I train for twelve rounds of war. If he only trains for seven or eight he is going to be in trouble after that because I am prepared to go the whole distance and to do whatever it takes to win. What kind of strategy do you use to fight a guy like Sergio? MIGUEL COTTO: You know what? That’s why we have a training camp and that’s why we work so hard and that’s why Freddie has a strategy in mind. All I have to do is execute it and that’s my job. He has given me the tools and made me work and now I have to execute his plan. Are you going to have to counter this guy or be aggressive? What are you going to have to do? MIGUEL COTTO: I am the same fighter that I have always been. Freddie has worked with me for what I need to do and whatever needs to be done in the ring, Freddie has a plan for it and all I have to do is follow it. I will just listen to my corner. All the work I have put in, in Los Angeles, in the past nine weeks are going to pay off on fight night. Are you concerned about anything that Sergio may bring into the ring? MIGUEL COTTO: All my career I have never been concerned with my opponent. I am always concerned about what I need to do – what I have to do. The biggest rival in my career has always been myself. I have to stay focused. I have to stay ready. I just have to follow the plan and everything will work out and I will have the victory. 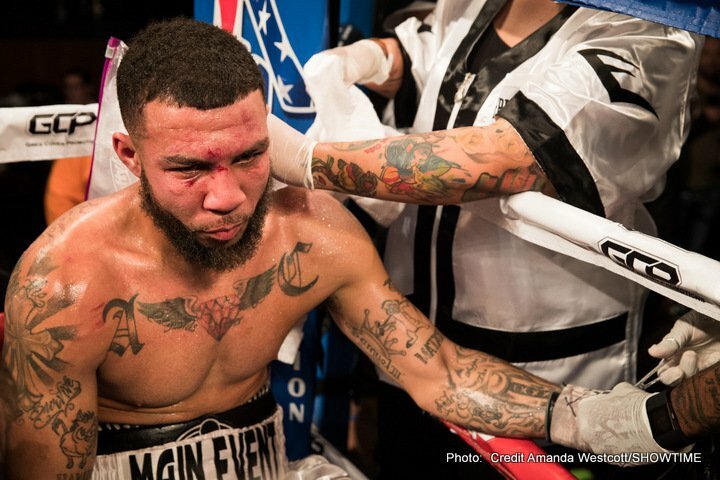 Are we going to see a different Miguel Cotto on June 7? MIGUEL COTTO: You are going to see the same guy that started his career 16 years ago, maybe a little older, more mature, and more focused on what I need to do. I think you are going to see that version of Miguel Cotto. What kind of relationship do you have with Freddie Roach? MIGUEL COTTO: It was no secret that during the Pacquiao-Cotto tour we had our differences. 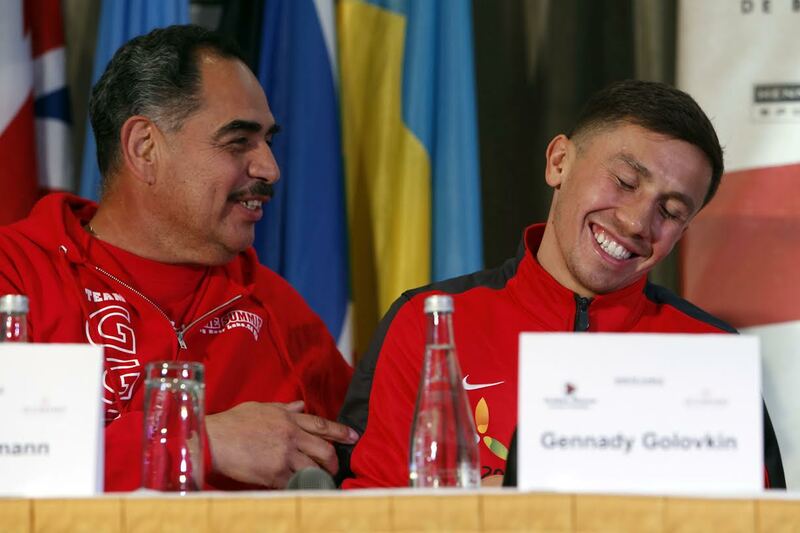 But when we got into the training camp he made me a better fighter, a better person and a better overall boxer. I think our relationship is great right now and I feel we really understand each other. The chemistry is there to make me a better fighter and that’s what I am trying to do – improve with him by my side. Do you feel stronger, more powerful? MIGUEL COTTO: I do feel it. I feel I can hit harder while not losing ring movement. FREDDIE ROACH: Miguel is one of the hardest punchers I have worked with. We are working every day on the mitts with my body protector on and that doesn’t help that much any more (laughing) – Miguel goes right through that. His punching power is great, his speed has been good and everything is right where I want it to be. Miguel is one of the hardest workers I have been with and he is the most disciplined fighter I have ever worked with. We have a great relationship and it will show in the fight. TODD duBOEF: In regard to the business end of the fight, the cable operators and our partners at HBO – we have seen incredible interest. 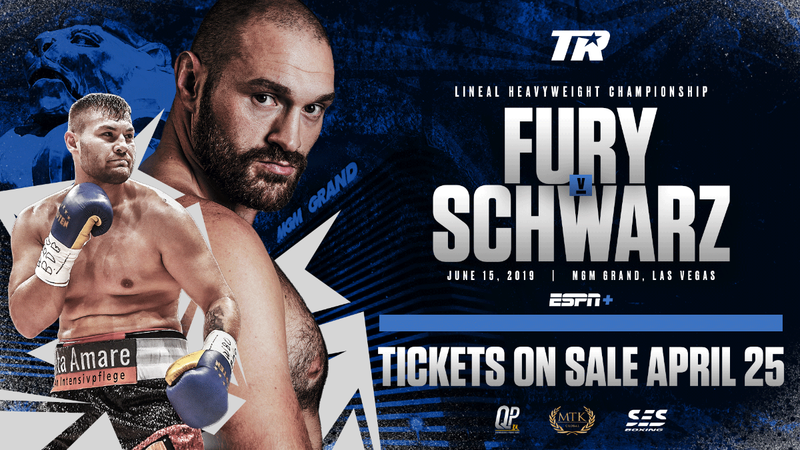 For not being a fight with a participant named Mayweather or Pacquiao, this is the biggest fight in at least the last five years, maybe even more. The industry is bracing for that. Obviously Miguel Cotto has established himself as a rainmaker in the pay-per-view industry and we think the chemistry between the two of them is going to have incredible results. Do you think it will reach one million buys? TODD duBOEF: Do I see that? Honestly I’m not sure. I think that would be a little bit of a reach but the expectation is not one million. I think that with regards to a fight without a Mayweather or a Pacquiao in there, it's as big as it’s going to get and that’s what our expectations are. The Puerto Rico Pay-Per-View systems are going to be off the charts with buy rates and we see the rest of the universe performing really well. There are no limitations. We think it is a successful promotion and if there is a relationship to the live gate – when we went on sale, basically in four hours, we went clean and that is another great indicator. I don’t have a crystal ball for you but we anticipate excellent sales. At what weight do you feel most comfortable coming into the ring? MIGUEL COTTO: I am going to go in the ring at the weight that is most comfortable for me. It doesn’t necessarily have to be 159. I am going to be comfortable. I have going to be happy. I am going to do my best. Historically, when Miguel was at 140 specifically, it was chronicled by a lot of people that he blew up in weight on fight night. He got to 155, 156 and even 158 going into the ring but that was many years ago. What I have seen over time with Miguel that he is a smarter fighter and more experienced and has Freddie’s team that he feels great with and that’s what it comes down to. He is going to be at his optimum weight when he is performing no matter what he weighs the day before. The motivation for this fight outside of winning the fourth world title – do you have another one? MIGUEL COTTO: Obviously my family. My father taught me at a very early age that your family is very important and they are going to follow in your footsteps. They are going to see you in there. See what you do. And that’s what I try to do – to be my best, to be a good example for them and there is no more motivation than doing well for your kids. MIGUEL COTTO: I think they are both wonderful kids. Jose Lopez is one that I think is developing very well and he has a lot of fans now in Puerto Rico. Jantony Ortiz is going to make his pro debut and everyone knows him from the Olympic team. I think you are going to see these kids develop and bring great joy to the fans of Puerto Rico. TODD DUBOEF: I think the history of the Puerto Rican influence and how it works with boxing goes way back. The thinking was in Las Vegas we had seen the rise of both Puerto Rican and Mexican Independence Day holidays and we felt that if we could link something up with the Puerto Rican Day Parade, which is their celebration, it could be something magical, and who better to do it with than Miguel. I could say this, that the first event there was some education. We had to give consumers – they weren’t used to the walk-ups and the buying of the tickets I think previously at The Garden – for some of the Tito Trinidad fights they had been throwing tickets around on the town. But over time with Miguel we have set up an incredible property and a great celebration for all Puerto Ricans to come together. And Miguel has been terrific in leading the way for many more fighters to come. FREDDIE ROACH: I can’t wait until we get this fight on. It’s going to be the biggest fight of the year. MIGUEL COTTO (38-4, 31 KOs), of Caguas, Puerto Rico, who has sold more tickets to The Garden than any other fighter in this millennium, will attempt to become Puerto Rico’s first four-division world champion while SERGIO "Maravilla" MARTÍNEZ (51-2-2, 28 KOs), of Quilmes, Buenos Aires, Argentina, who has never lost a world championship fight, defends the title he first won in 2010. Both gladiators boast a combined record of 89-6-2 (59 KOs) – a winning percentage of 92% and a victory by knockout ratio of 66%. HBO’s Emmy-Award-winning series “24/7 Cotto/Martínez” premieres Saturday, May 31 at 11:15 p.m. ET/PT on HBO.